Designed to further enhance the passenger experience at Abu Dhabi International Airport (AUH), Abu Dhabi Duty Free has launched its website, www.ADDF.ae, to enable travellers to browse and shop online from wherever they are, prior to their arrival at the airport. Products are available for guests departing, arriving, or transiting through the airport, and those who are using the exclusive VIP terminal. 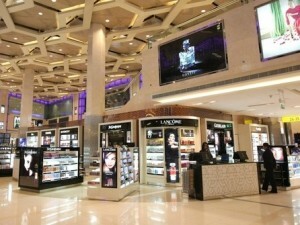 The online store, which initially offers around 1000 of the most popular products varying from beauty, fragrances, food and confectionery, to jewelry, sunglasses, watches, souvenirs, and toys, will allow passengers to select their desired items online and pick them up from designated collection points conveniently located inside Abu Dhabi Duty Free. Online orders can be made between two weeks and up to four hours before a flight. By using the website passengers will be able to shop efficiently and spend more time enjoying the other facilities on offer at the airport. Abu Dhabi Duty Free is offering a 5 per cent discount on all online orders for first time users. For passengers who do not yet have a confirmed date of travel they can shop and create a “Wish List”. The “Wish List” is accessible to registered users and will allow them to keep their items for later when their trip is booked. Duty free shopping at AUH rose 7 per cent in 2015 despite the global slowdown of the retail market. The Bahrain Tourism and Exhibitions Authority has launched its 2016-2017 action plan focusing on positioning the Kingdom as a ‘prime wedding destination’. The plan is a part of the long-term tourism strategy highlighting Bahrain’s overall tourism offering. The plan was unveiled during a press conference held in the presence of various stakeholders representing the vibrant industry including wedding planners, fashion designers and florists. The two-year plan focuses on promoting the Kingdom as an attractive wedding destination and other related events by developing the sector and promoting the local talents in various fields such as fashion, music and make-up. During the press conference, the Advisor to the Bahrain Tourism and Exhibitions Authority, Dr Ali Hassan Follad, stressed that the wedding sector in the Bahrain impacts a number of businesses from the hotel and hospitality industry, fashion, beauty, rental cars, aviation and much more. BETA will also be taking part in the annual Jewelry Arabia exhibition through a large stand in order to promote Bahrain as a wedding destination. 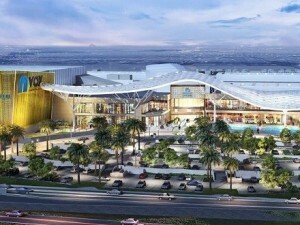 The stand will include top fashion designers from Bahrain and the region. Also, the authority will host a fashion wedding focusing on wedding clothes from all across the globe during the event. The authority will also take part in the Wedding Fair, the largest event of its kind, held next year in Thailand in order to further promote Bahrain as a wedding destination. The plan will focus on promoting wedding venues such as the dessert, on an island, beach and at the Bahrain International Circuit (BIC). Ras Al Khaimah has recorded a growth of 37 per cent in visitor arrivals from India during the period of January to April 2016, a remarkable surge over the same period last year, according to Ras Al Khaimah Tourism Development Authority (TDA). The positive figures indicate that 2016 is witnessing a strong start from India, the fourth largest international inbound market for Ras Al Khaimah. In line with the current tourism development strategy, Ras Al Khaimah Tourism Authority recently conducted roadshows and one-on-one interactions with Indian travel trade partners to educate them about the tourist offerings of the emirate. 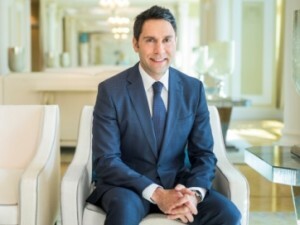 Haitham Mattar, CEO, Ras Al Khaimah TDA, said, “As part of our tourism strategy to attract 1 million visitors to Ras Al Khaimah by the end of 2018, we place great importance on diversifying our source markets and creating sustainable tourism growth. Our recent trade missions and industry partnerships in India are a key part of our strategy, and have resulted in a positive increase in visitor arrivals from India. We recently launched our new brand positioning which emphasises Ras Al Khaimah’s natural assets, luxurious indulgence, range of activities for different types of travellers, and authentic Arabian heritage and culture. We are very hopeful that visitors from India will continue to grow as more leisure and business travellers discover the emirate’s unique offerings.” Furthermore, in the first quarter of 2016, Ras Al Khaimah’s hotels reported an occupancy rate of 71 per cent, up by 18 per cent over Q1 2015. Coupled with a 9.2 per cent year-on-year increase in Rev PAR, this demonstrates the highest growth across the GCC region. 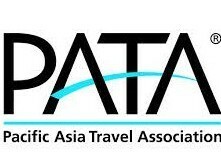 The Tourism Authority of Thailand (TAT) and Emirates Airline, UAE’s leading airline, have signed a Memorandum of Understanding (MoU), which aims to utilise the airline’s global network to further boost inbound tourist arrivals to Thailand, by focusing on the growth of key niche markets and luxury destinations within the kingdom. 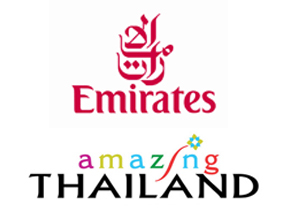 Under the Memorandum of Understanding (MoU), Emirates together with Tourism Authority of Thailand will put into effect a range of joint promotions to mutually increase tourism and visibility for Thailand through the Emirates Airline Global Network. The promotions will focus on niche tourism markets such as: Green Tourism, Sport Tourism, Luxury Tourism, Weddings & Honeymoons as well as Medical Health & Wellness. The agreement also involves the possibility of launching a new route from Dubai to other key tourism destinations in Thailand such as Chiang Mai and U-Tapao in Pattaya. The agreement was signed by Emirates Airline, Senior Vice President of Commercial Operation – Far East, Badr Abbas, and Tourism Authority of Thailand’s Deputy Governor for International Marketing, Europe, Africa, Middle East and Americas, Juthaporn Rerngronasa at a commemorative event at State Room, The Dome – Lebua State Tower, Bangkok. They were joined by Yuthasak Supasorn, Governor of Tourism Authority of Thailand, Chalermsak Suranant, Director of Tourism Authority of Thailand Dubai and Middle East office and other officials from the Tourism Authority of Thailand. The lucrative opportunities for investment between Sharjah and Australia were the main item on the agenda at a “Sharjah-Australia Roundtable” organised by Sharjah Investment and Development Authority (Shurooq), in association with the Australian Business Council in Dubai (ABCD), the Australian Trade Commission and Australia Unlimited, at the Sharjah Chamber of Commerce and Industry (SCCI). The roundtable was Shurooq’s latest initiative in its extensive programme designed to highlight Sharjah’s rewarding investment climate, with Shurooq representatives visiting four continents in the past few months as part of its on-going promotional strategy for the emirate. The most recent activity in Shurooq’s global investment promotion agenda saw His Excellency Gerard Seeber, Australia Consul General in Dubai and Senior Trade Commissioner MENA region and His Excellency Marwan bin Jassim Al Sarkal, CEO, Shurooq, sitting down with Penny Couchman, Chairperson of ABCD and several Australian businesspersons, including spokespersons from Antipodean enterprises operating in the UAE. The day-long event involved the representatives discussing the emirate’s array of fertile sectors for investment, including tourism, environment, health and transport. His Highness Sheikh Mohamed bin Zayed Al Nahyan, Crown Prince of Abu Dhabi and Deputy Supreme Commander of the UAE Armed Forces, Chairman of the Executive Council, issued a decree announcing the launch of an Events Licensing System (ELS) to be implemented by Abu Dhabi Tourism & Culture Authority (TCA Abu Dhabi), a standardised and unified online platform that streamlines the official registration of all events administered, organised and managed across Abu Dhabi emirate. The new online licensing system will support Abu Dhabi’s tourism sector, providing the necessary resources to achieve sustainability and growth services include an expanded database on performance, enhanced quality of touristic events and measured success indicators. 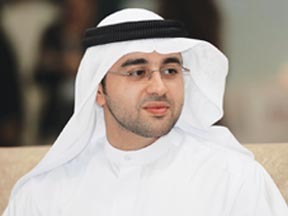 HE Mohamed Khalifa Al Mubarak, Chairman of TCA Abu Dhabi, will form a committee to oversee the implementation of strategies and policies surrounding the coordination of events in Abu Dhabi between the relevant authorities, by providing support for necessary services and facilities, while enhancing the contribution of government, private sector, and relevant stakeholders when organising events in the emirate. The introduction of the ELS will drive tourism industry growth within the emirate through improving event planning, and by developing industry best practice in line with Abu Dhabi Vision 2030.